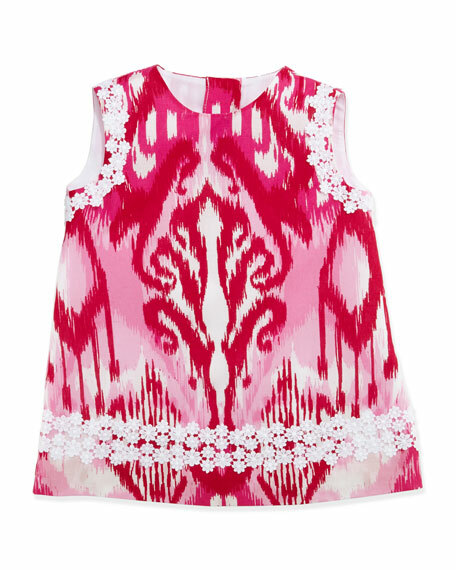 A mod silhouette gets a new twist with a colorful ikat print on this baby girls' Oscar de la Renta dress. Pair it with a wide headband and leather sandals to finish her look. 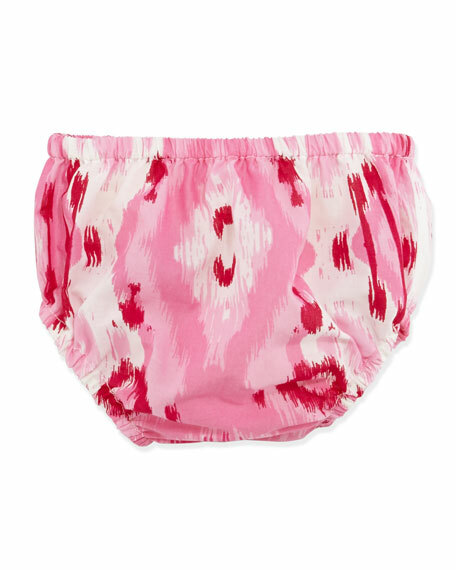 Baby girls' ikat-print Oscar de la Renta poplin dress.